Our dear friend's daughter is turning 8 this Summer, and I just couldn't resist making a card for her! She is as girly and sweet as it gets, so it didn't take much to twist my arm to pull out all my frilly bits and make something special for her. I also loved getting to play one more time with Queen and Co's lovely Circle Shaped Shaker Set, and putting a fun twist on the dies in the kit! 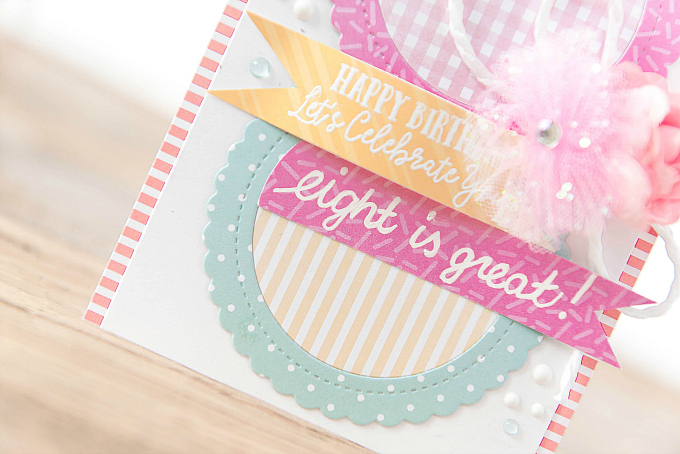 I used the circle dies to cut out two circles and coordinating inserts, to create a lovely '8'. I used papers from the Birthday Bash, Dots, Stripes and Flirty Florals pads. I also added a pink Tulle Blossom, as well as a paper rose. 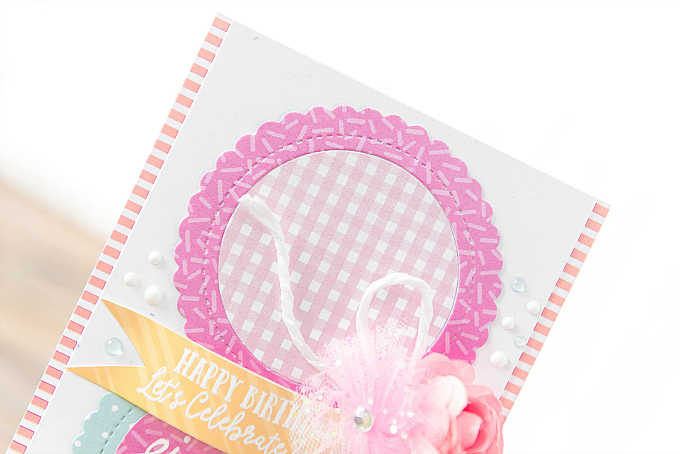 I added a touch of pizzaz with Nuvo Crystal White drops and Nuvo Jewel Drops in Seafoam and backed the whole card with some pretty striped Queen and Co paper. 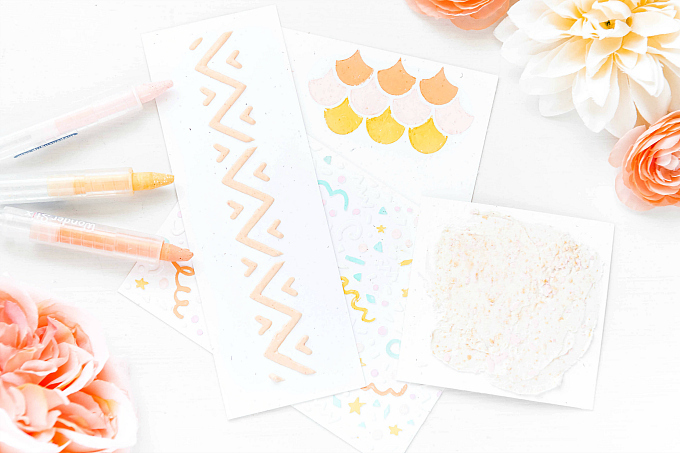 Stay tuned for more cards featuring this little kit! Thanks for visiting, dear friends. 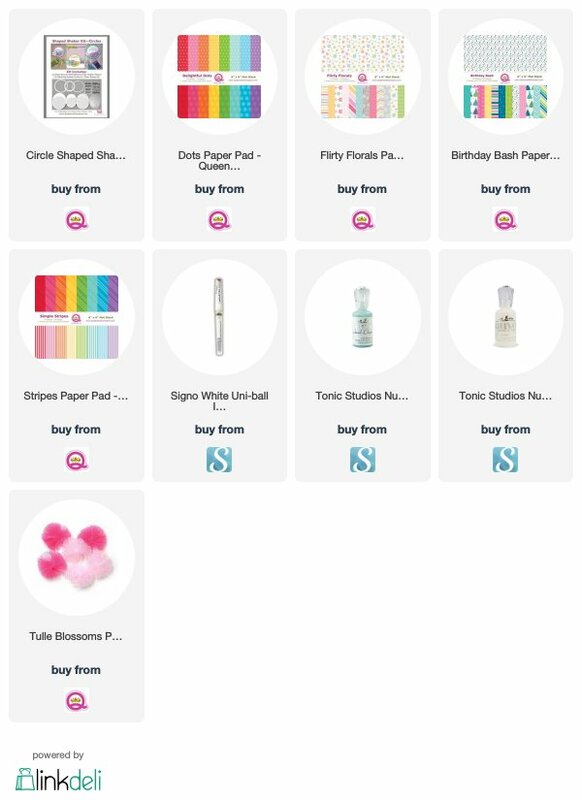 Oh wow--I wish I was turning 8 & this was for me--haha! 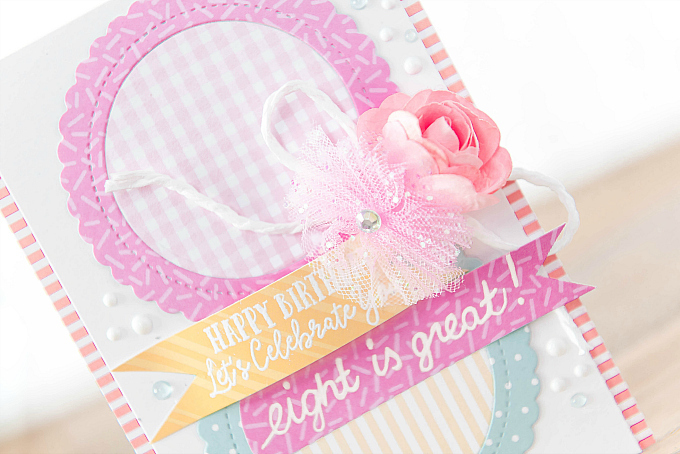 You are so clever using the circles to make an 8 & I totally adore the tulle blossom! Another fabulous card, Ivana! This is perfectly precious and girly Ivana, she is going to love it so much! What a brilliant way to make the number 8, I need to remember that! Happy Birthday to one lucky little girl! Oh WOW!! This is so clever!! I LOVE how you created that number eight on this! !